Who has access to your D365FO data? Who has Access to Your Data in D365FO? The Fastpath Assure Access Review module lets you report and sign-off on user access in Dynamics 365 for Finance and Operations. Understanding who has access to a company’s sensitive data is fundamental to security in Microsoft Dynamics 365 for Finance and Operations, and it can be a challenge to review who has this sensitive access. 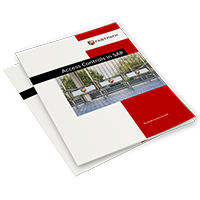 Often companies need to sift through binders full of reports to narrow down specific areas of access. What Changes Are Users Making in D365FO? The Audit Trail module in Fastpath Assure tracks user activity in Dynamics 365 for Finance and Operations, noting what is changed, when and by whom, including before and after values. Can you tell who makes changes to your data? Which user edited a vendor address, or increased the price of an item? Most data changes are a part of the normal course of business, but errors, and even fraudulent activity, can happen. Companies need the ability to easily track and monitor changes to critical data in D365FO without sacrificing system performance. Through Fastpath’s Audit Trail functionality, companies can focus on the highest risk tables and fields to continuously monitor changes. With the auditor designed templates, included in Audit Trail, you can track critical changes with an absolute minimum system impact. The Fastpath Assure Identity Manager module automates user access requests and their approvals, without the need for IT involvement. Provisioning users in your Dynamics 365 for Finance and Operations environment can be an inefficient process. Most often, new employees end up waiting for access while approvals make their way through a maze of manual sign-offs. Identity Manager gives companies the ability to automate and fully document the request and approval process through customized workflows ensuring users have the proper access at the approved time. Many times, users are edited or roles are given increased functionality without understanding the full impact. 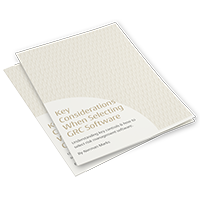 This can lead to over-granting system access or visibility to sensitive data. 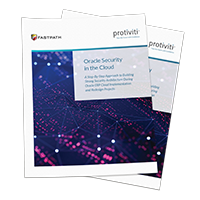 Identity Manager can help mitigate those risks by leveraging our Segregation of Duties functionality to give companies a clear vision of their risks prior to approving changes. Do You Have Risks in D365FO Access? The Fastpath Assure Segregation of Duties (SoD) module assesses user access in D365FO and reports existing segregation of duties conflicts. When it comes to Dynamics 365 for Finance and Operations, understanding where you have risk is critical to maintaining a secure and compliant environment. Sometimes that’s easier said than done when utilizing native functionality. Companies need an easier, more comprehensive way to identify, document, and mitigate SoD conflicts in their ERP. The Fastpath Assure SoD module gives companies the power to review conflicts with an out-of-the-box SoD ruleset based on industry standards and mapped specifically for D365FO. The fully customizable ruleset is automatically applied to analyze your company’s unique environment, pinpointing exactly where your risks exist. Assure provides a platform for documenting mitigating controls to deliver the reports companies and auditors need to ensure a secure and compliant environment. Security reporting by user, table access, or menu access. Need a Better Way to Assign Temporary Access in D365FO? The Fastpath Assure Identity Manager automates access requests and approvals, including implementing effective dates. Sometimes business needs require granting additional roles, duties, or privileges to users on a temporary or emergency basis. Maybe someone is covering for a vacation, or firefighter access needs to be given for a short window on the weekend. In these situations, it’s critical to carefully manage the time frames for that access. Automating the start and end dates, down to the minute, can greatly assist in reducing fraudulent activities or the chance for errors. With Fastpath’s Identity Manager you can quickly schedule access changes to line up with business needs, as well as track the history of approvals associated with the increased access. For further monitoring of what users do with their access, check out the change tracking capability of Fastpath Audit Trail. For most admins, the out of the box roles in D365FO has to be edited and added to in order to meet the access needs of a business. Creating new roles can be a time-consuming process, especially when you consider the potential risks of roles with conflicting access. So how do you edit your roles without creating security risks? This is where the Security Designer in Faspath Assure comes in handy. Using the Designer, you can easily edit and create roles with an automatic risk review. Starting with the ability to model security changes, you can simulate edits and view where conflicts exist vs where they would exist if changes went into effect. You can create multiple models, able to decide which model best fits your needs with the lowest possible risk level. Finally, if you choose to implement the changes, they can be written directly to your system. See how the Fastpath Assure Security Designer vs D365FO Security Configuration with these demo videos. What Drives User License Types in Dynamics 365 for Operations? Where's the Security Development Tool in Dynamics 365 for Operations? 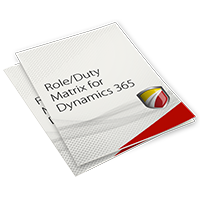 Building roles and implementing strong security in D365FO can be a daunting task so we created a tool to assist in designing security roles for Dynamics 365FO. Have you ever wanted to see a side by side comparison of how Dynamics 365 for Finance and Operations (D365FO) compares to Fastpath? We compared setting up security in the D365FO Security Configuration area and how it differs from setting up security using the Fastpath Security Designer tool.